The bad news is that Kiwi households are still in record levels of hock relative to disposable income. The good news is continuing low interest rates are keeping debt servicing costs at moderate levels. In other words, at the moment, the debt pile is affordable. 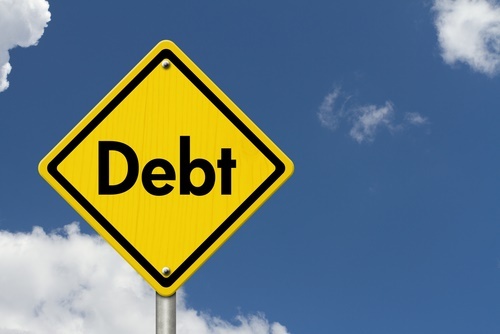 The new quarterly household financial statistics  from the Reserve Bank show that household debt as a percentage of disposable income was 168% as at the end of the June quarter. This is a record high, though it has stayed the same as it was in March, which may encourage the RBNZ (which has been concerned about the debt levels) to believe that the ratios have now plateaued. Meanwhile, however, the figures indicate that while the debt pile is high, the serviceability of it - that is, what people have to pay in interest as a portion of their incomings - is at only moderate levels. In the 12 months to the end of June the interest payments were on average sucking up 8.4% of household disposable income. This figure was again unchanged from the March quarter, but actually down from 8.9% a year ago. And, to give some historic perspective, at the height of the Global Financial Crisis in 2008 this ratio was up as high as 13.8%. Then, of course, mortgage interest rates were much higher. At the moment with the picture for inflation still looking benign the RBNZ's forecasting it won't have to raise the Official Cash Rate from the historically low 1.75% till late 2019. Late last year and earlier this year, however, banks were noticeably edging their mortgage rates higher in as they faced a squeeze from shrinking deposit levels relative to the amount they were lending out. However the signs are that squeeze is now abating. New separate figures out also on Wednesday from the RBNZ on retail interest rates on lending and deposits  show that the calculated average floating mortgage rate for new customers in August was 5.84% - the same as it had been for the past two months. Earlier in the year there had been a discernible move up in the floating rate, from 5.61% as at the end of 2016. Likewise, the average six month deposit rate had moved up (though not by as much). Having ended 2016 on 3.3% the six month rate dropped down to 3.25% by February this year, before then kicking up to 3.34% in May and then dropping back to 3.31% in June, which is the level it remained at in August. Going back to the household financial figures, these show that including rental properties total household financial liabilities stood at $268.747 billion as at the end of the June quarter, up from $264.987 at the end of March. Net household wealth (which doesn't have the value of housing and land included - as that's added in later) was up very slightly in June to $611.495 billion.